1) Honestly, no body aching. 2) I didn’t reduce any kilos. 3) I eat so much. 7) Scold by the boss because my time management was really bad few days ago. Too much datelines has not been submitted yet. Sorry boss..
mo balik-balik pigi mangkali tu Girl. 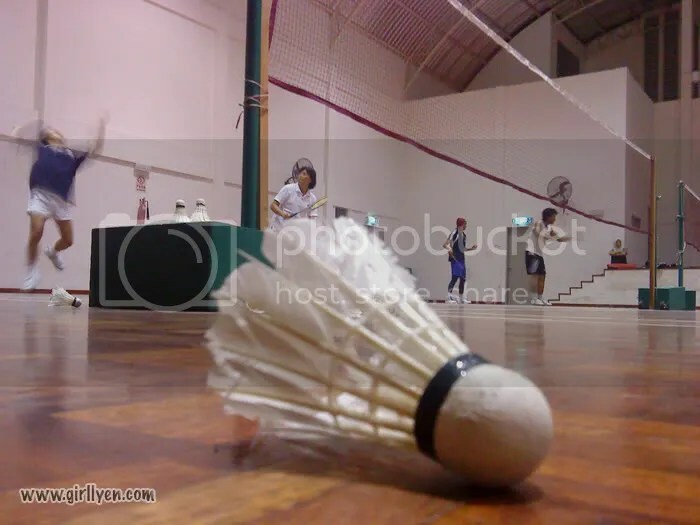 baru ok.
Suka juga kau main badminton. Wah….nice pic. Ini mesti pakai itu lens baru!